Switch Waluigi with one of your benched Pokemon, or he takes 20 damage himself. 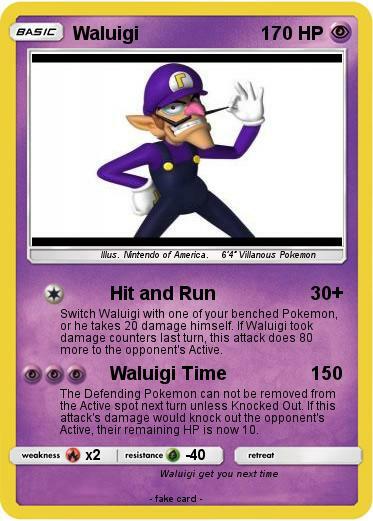 If Waluigi took damage counters last turn, this attack does 80 more to the opponent's Active. The Defending Pokemon can not be removed from the Active spot next turn unless Knocked Out. If this attack's damage would knock out the opponent's Active, their remaining HP is now 10.